Explanation: If you could look across Venus with radar eyes, what might you see? This computer reconstruction of the surface of Venus was created from data from the Magellan spacecraft. � Magellan orbited Venus and used radar to map our neighboring planet's surface between 1990 and 1994. Magellan found many interesting surface features, including the large circular domes, typically 25-kilometers across, that are depicted above. � Volcanism is thought to have created the domes, although the precise mechanism remains unknown. 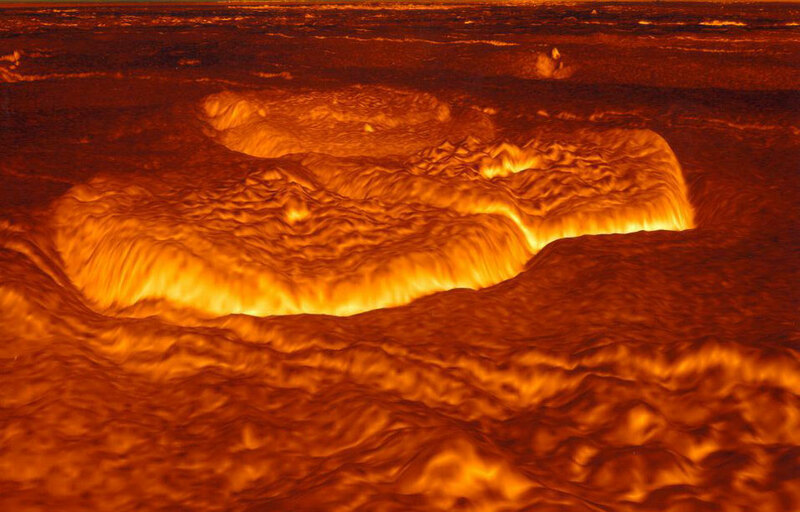 Venus' surface is so hot and hostile that no surface probe has lasted more than a few minutes.